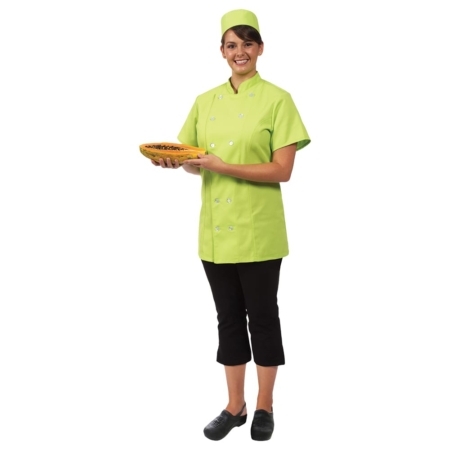 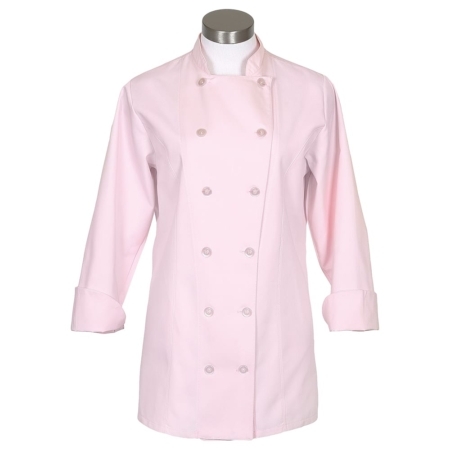 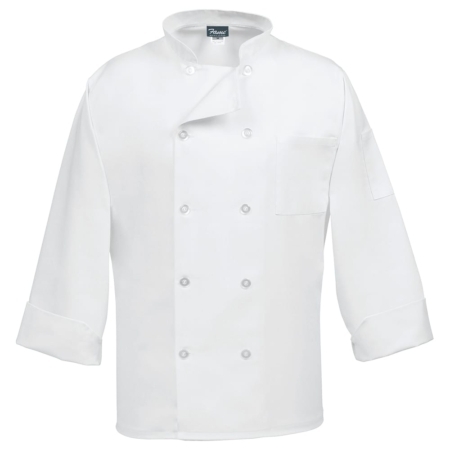 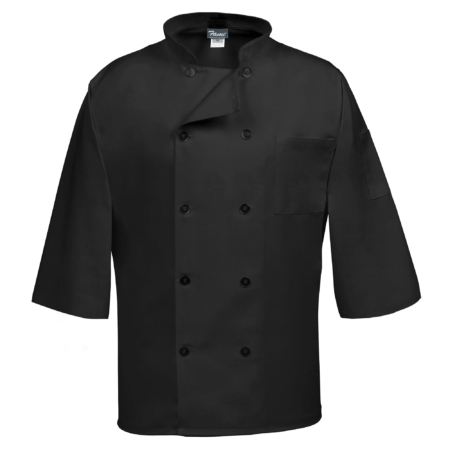 Ladies fitted Chef Coat. 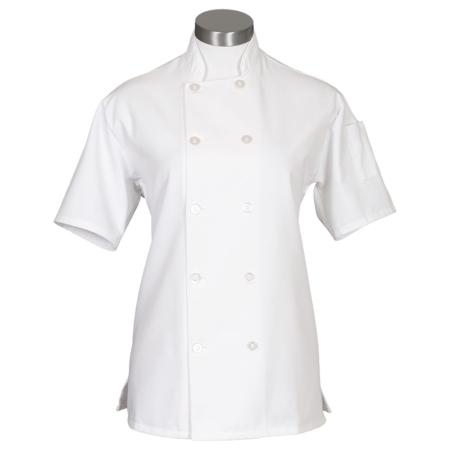 Tapered Waist, proportionate sleeve length. 2 sewn underarm vents. 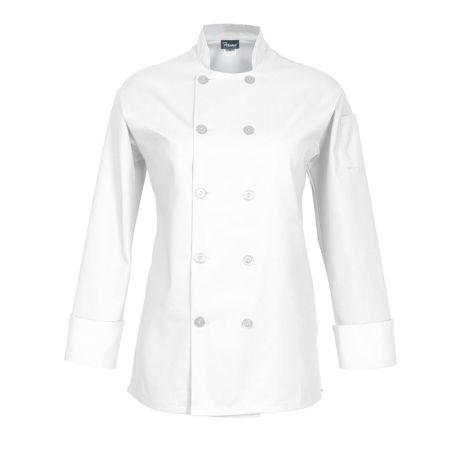 12 Pearl buttons. 7.5 oz. 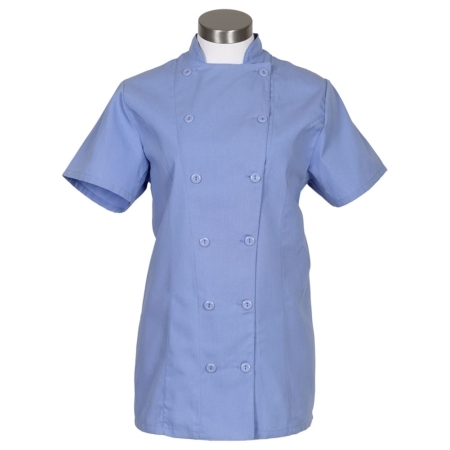 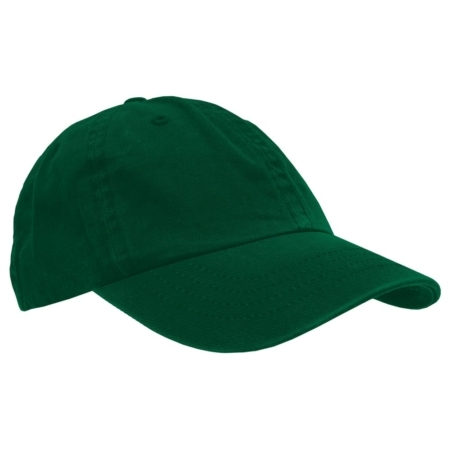 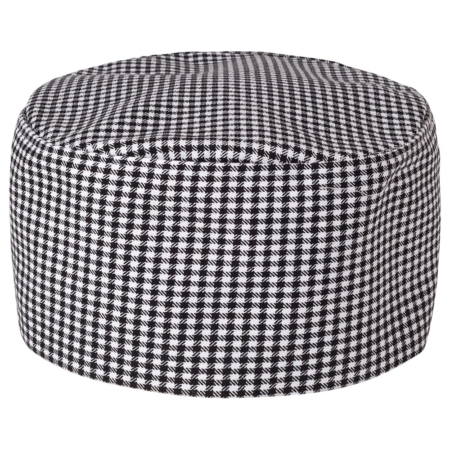 65/35 poly-cotton Available in Ceil Blue, Lime, Mango, Raspberry, White, and Pearl Buttons.